Making sure that all students are safely engaged with an activity or game is challenging. If adults are stationary, it’s easy for recess to dissolve into chaos. 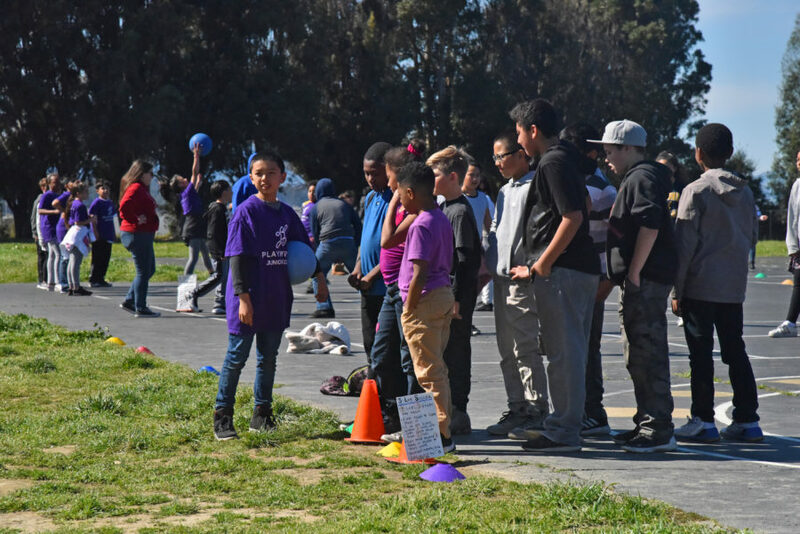 Strategic movement is an approach to increasing the safety and engagement of students by having adults intentionally move around the playground and join in games with students. One example of strategic movement would be to gather a group of students not engaged in an activity and start a game of four square. Once that game is up and running, the adult can move to a group of students playing wall ball, join in, and model positive behavior (or reinforcing the rules, if necessary). By moving from game to game, adults build positive relationships and more effectively monitor recess. Adults only spend a couple of minutes with each group before moving on to another group of students or game. 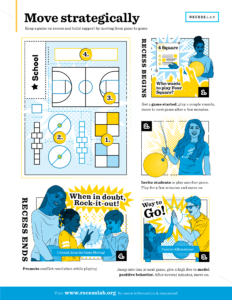 Strategic movement helps adults build rapport by ‘getting in the game’ (i.e., playing alongside students), giving high fives and affirmations, and proactively addressing issues before they arise (versus reactively responding to conflicts). The reward? We’re more engaged with our students at recess without feeling as though we’re only reacting to behavior issues on the playground. In the end, using strategic movement makes it easier to manage recess proactively while also building positive relationships and increasing students’ safety and engagement in play. Print out this poster and get started!